Best lakefront lot in Copperfield!! Vacation at Home and never tire of the 15 acre Lake view. Dock provides plenty of room for swimming and fishing. Custom built and original owners. Great room with vaulted ceiling & built-in bookcases. Spacious rooms. Large kitchen with granite & breakfast area. Open floor plan has sunroom. Updates include new paint, carpet, windows, roof, deck and more. Nothing to do--but move in and Enjoy the view. Spacious deck provides plenty of room for entertaining. 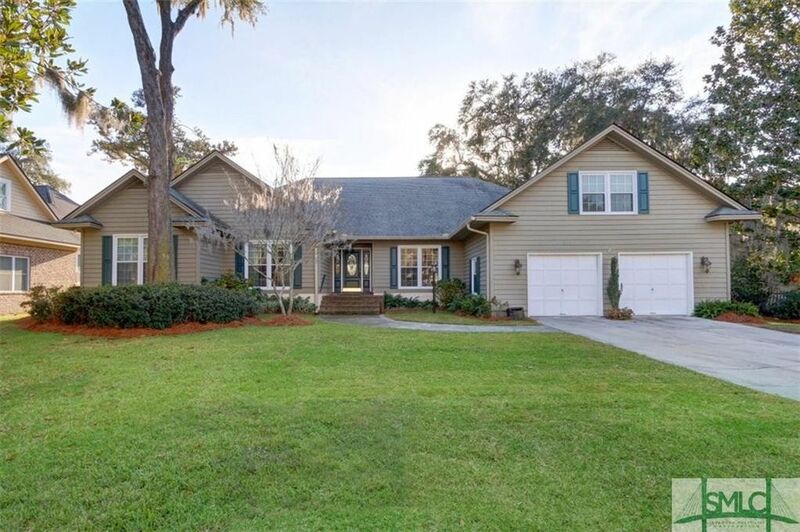 Bonus/4th bedroom with full bath up - walk - in attic could be future expansion Wilmington Island's Copperfield Plantation offers mid-island location and May Howard School district. Directions: Johnny Mercer to Wilmington Island Rd to Cromwell, left on Deerwood - left on Lantern, left on Copperfield - house on left.